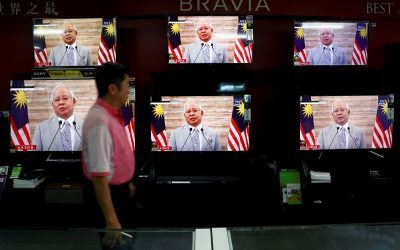 Not novel in Malaysian politics, adding to the same sense of impending victimhood is the Democratic Action Party (DAP), a largely ethnically Chinese political party are now in power as part of the PH coalition. This is coupled with the appointments of non-Malay-Muslims to the key positions of Attorney-General, Chief Justice, Law Minister and Finance Minister. Harris Zainul is an Economics, Trade and Regional Integration (ETRI) researcher at the Institute of Strategic and International Studies (ISIS) Malaysia. At ISIS Malaysia, he focuses on the nexus between economic considerations and foreign policy objectives. His primary research areas cover strategic implications of China’s Belt and Road Initiative, Korea-ASEAN relations, and ASEAN politics. He is currently a Ministerial-appointed member of the National Youth Consultative Council, and was formerly an elected member of the Malaysian Youth Parliament. He holds a MA in International Studies and Diplomacy from the School of Oriental and African Studies in London and a Bachelor of Laws with Honours (LL.B) from the University of Liverpool.